The lipid or oil layer stabilizes the tears and prevents evaporation. 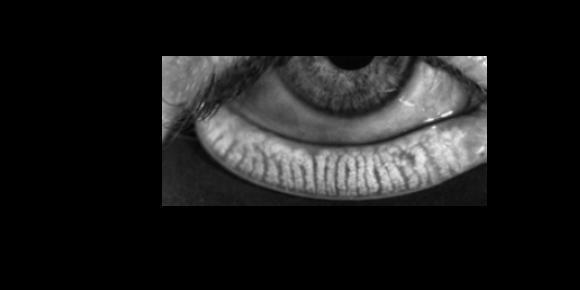 New studies show that an inadequate oil layer causes the majority of dry eye symptoms and that MGD (Meibomian Gland Disease) is the primary reason for that poor oil layer. Meibomian Gland Disease occurs when the oil glands in the eye lids become inflamed. This inflammation then causes a blockage of the glands so that they can no longer produce the oil that prevents tear evaporation. Eye Care Associates Of New Hampton now has technology that provides detailed images of the meibomian glands. These images are obtained non-invasively with no discomfort to the patient. If MGD is diagnosed, treatment can then be administered which will improve meibomian gland function and reduce or eliminate dry eye symptoms. This treatment is performed in a spa type environment by highly trained clinical technicians. It is VERY RELAXING and our patients tell us that it FEELS GREAT! Traditional dry eye therapy consisted of eye drops or ointments that provided temporary relief of symptoms. We are now able to treat the source of the problem - which is more effective.